The Mount Allison University Libraries and Archives is comprised of the Ralph Pickard Bell Library, the Alfred Whitehead Music Library, and the University Archives. Together, the Libraries and Archives offer services, research resources, and collections designed to help support the curriculum and meet the scholarly requirements of faculty members and students. In addition to a collection of over 500,000 titles, the Libraries provide access to an ever increasing number of books, journals, newspapers, musical recordings, and other materials in digital format. The R.P. Bell Library is a full depository for Canadian federal publications and selectively collects materials published by other levels of government, international organizations, and NGOs. Other specialized collections include the W.P. Bell Collection of Acadiana, the Dorothy and Edgar Davidson Collection of Canadiana that includes rare imprints from the 17th and 18th centuries, the Mary Mellish Archibald Memorial Library of Folklore, and other rare books collections. The Libraries' borrowing, interlibrary loan, and research assistance services are available to all library patrons, including members of the local community. 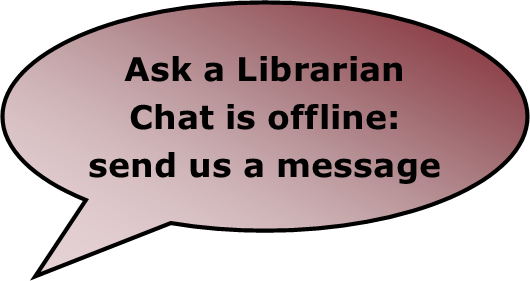 In addition, librarians offer general and discipline-specific library instruction to students and offer opportunities for self-directed learning by creating guides and other learning tools on the Libraries and Archives website. The focus on teaching and developing information literacy is an important part of Librarians' work in helping students and others become life-long learners. During the academic term, the R.P. Bell Library is open close to 100 hours per week and can provide work and study space for up to 450 students and other researchers. Library patrons may browse the online Library Catalogue and access the libraries' digital collections by using one of the public workstations or by connecting to the University's wireless network. In addition to the public workstations available in various locations of the building, the R.P. Bell Library operates one Computer Lab on the Third Floor. The Lab is available for general use when not booked for classes. Assistive technology and software are available on certain library workstations. Visitors may obtain a guest computer account at the Access Services Desk. Located on the lower floor of the Marjorie Young Bell Conservatory of Music, the Music Library is a fully-operating branch library, providing access to growing collections of scholarly materials, encompassing books about music, scores and printed music, audio-visual resources in a variety of media, and online databases including music streaming. The University Archives makes available for research purposes the historical records of Mount Allison institutions and selected records from the local community. These include materials such as annual reports, academic calendars, minutes of meetings, correspondence, diaries, scrapbooks, photographs, maps, and architectural records. The Archives office is located on the third floor of the R.P. Bell Library.